Dr. Sandra is a scientific writer, medical writer, and immunologist with over 20 years of successful grant proposal, manuscript writing and editorial experience. Dr. Sandra has substantively edited and provided writing for over 40 grant proposals in diverse therapeutic areas for both academic (R01, PPG) and SBIR / STTR grant proposals to NIH, NSF, DoD, and foundations. Utilizing her deep understanding of drug discovery, development, and regulatory processes critical to life sciences, Dr. Sandra has helped many clients obtain non-dilutive grant funding for their cutting edge technology. Dr. Saouaf provides expert manuscript writing and editorial support for academic and industry projects in discovery, preclinical and clinical research. Dr. Sandra uses best practices for clear, accurate communication of science. Dr. Sandra’s passion for scientific communication lies in academic research and her background in cellular, molecular and biochemical research allows clear, accurate communication in all life science areas and in most therapeutic areas, including immuno-oncology / oncology / cancer, autoimmune disease / immunology / inflammation, biomarkers / biochemistry / cell signaling, hematology, neurology / CNS, endocrinology / diabetes, pain, addiction, and cardiovascular. Dr. Sandra is a highly motivated, independent, yet team-player who is detail-oriented, organized, and personable with excellent written and oral scientific and medical communication skills. Dr. Sandra holds a PhD in Immunology from the University of Pennsylvania School of Medicine and a BA in Biochemistry from Rutgers College. Dr. Sandra is an experienced immunologist and oncology research scientist who has studied and researched disease mechanisms authoring numerous published, peer reviewed manuscripts on her research. Dr. Sandra was a member of the Department of Pathology and Laboratory Medicine at the University of Pennsylvania where she led a team of researchers to discover cell signaling pathways utilized by CD147, a cell surface protein over-expressed on tumors. The research identified relevant therapeutic targets for multiple tumor types and metastasis. 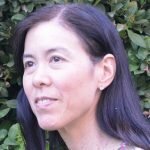 Highlighting her versatility, Dr. Sandra successfully investigated regulatory T cell immune function in arthritis, diabetes and multiple sclerosis disease models, yielding a published patent application for use of histone deacetylase (HDAC) inhibitors for treatment of autoimmune disease, allergy, and transplant rejection. As a senior scientist in the Glaxo SmithKline protein biochemistry department Dr. Sandra developed protein purification schemes for apoptotic cysteine proteases and performed assay development for therapeutic targets. While a post-doctoral fellow in the Bristol-Myers Squibb department of oncology Dr. Sandra investigated cell signaling pathways through oncogenic src family proteins, discovering relevant oncology targets for therapeutic intervention. Dr. Sandra is a member of the American Medical Writers Association, American Association for Cancer Research, and the Association for Women in Science. To work with immunology grant writer and editor Dr. Sandra, please visit our quote page and request her in the description area.